My name is Joy and I’ve been coming to Gritton’s Training System for about a year. I was in such bad shape when I first started at GTS. I would have to take a nap after every workout for the first couple of months. But I stuck with it. I made an appointment with myself for working out and I had to keep it no matter what. Because if I made the decision the day of the workout based on how I felt, I would never have gone. I hated it for the first few months. But now I actually look forward to going. I am so much stronger. I have so much more energy. 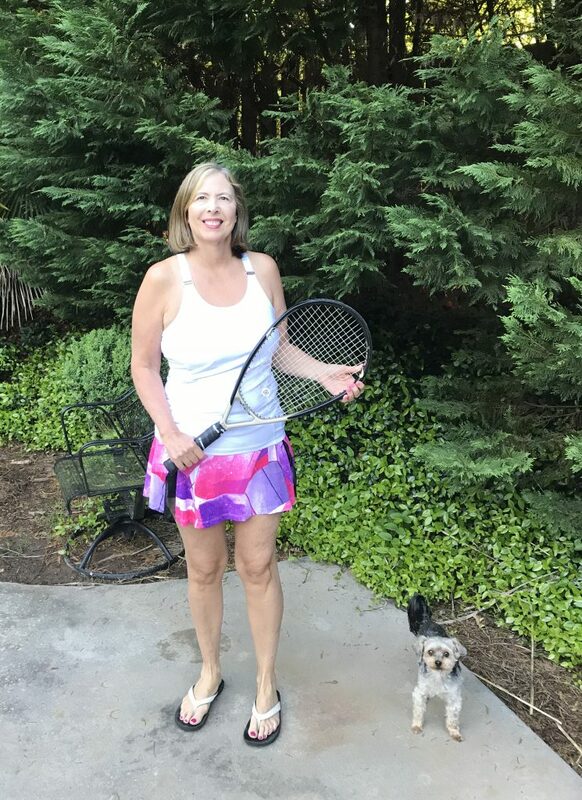 I workout, go to a 2-hour tennis practice, work in the yard for 2 or 3 hours and make dinner. I put in full days after working out and have the energy to spare. My first love is Tennis. I like to play several times a week. GTS has improved my game so much. I am faster and stronger. I also can play 3 long sets without getting tired. I love it when we go to 3 sets because my opponents are tired and I am not. The best part about GTS is that I have no pain. For the last several years, I would have pain in my right hip that radiated down my leg every night. I had been to the doctor and to physical therapy and nothing helped. It was so bad that if really affected my sleep. I’m not sure when it disappeared but it’s been gone for months. I am so thankful to have no pain. I love GTS and plan to keep it up. Yoga is great too. Thank you, GTS!